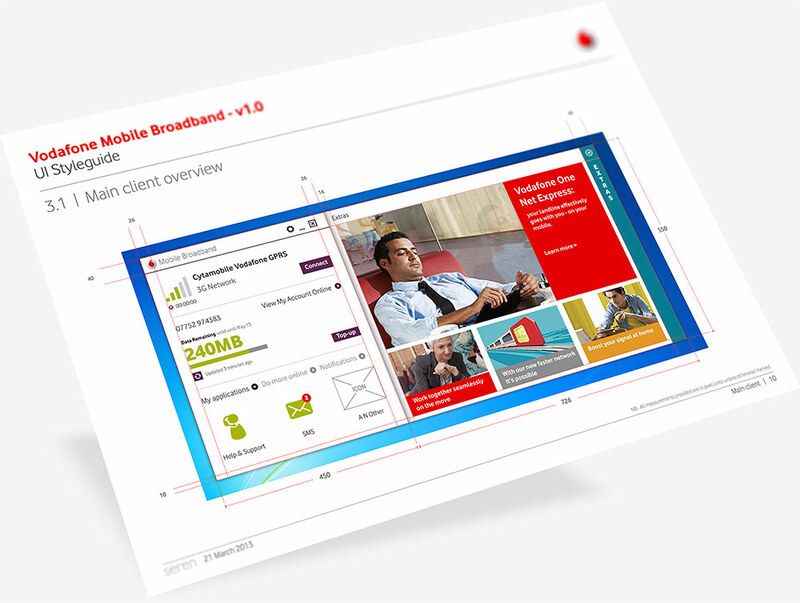 Vodafone Mobile Broadband is an app which manages the internet connectivity of connected devices, including Vodafone broadband dongles and devices using a Vodafone broadband sim card. 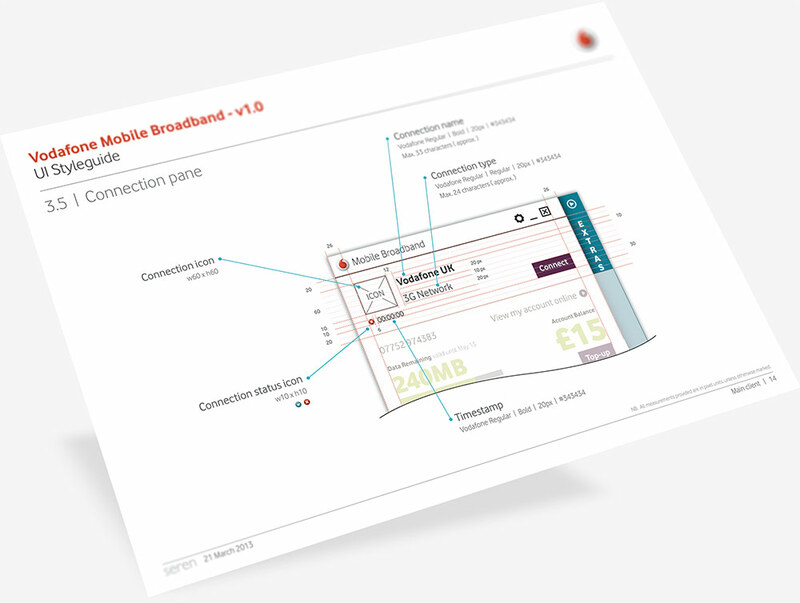 It includes functionality that silently enables the user to remain ‘always best connected’ to the internet, whether that be via Vodafone mobile data networks or through preferred WiFi connections. 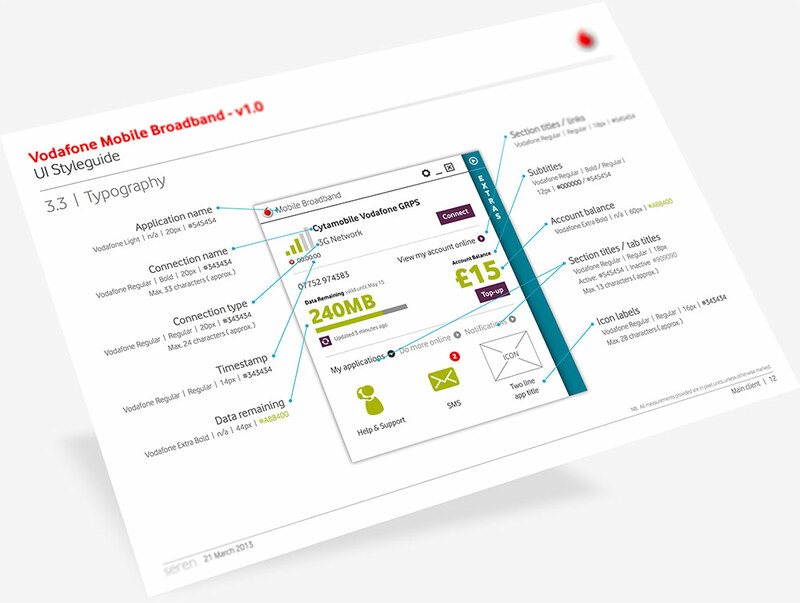 The app also allows the user to view high level account details, view and purchase data allowances, purchase PAYG data bundles and manage advanced setting such as multiple numbers or corporate account settings. There is also na 'extras' (sales) channel with special offers and other premium content for users. 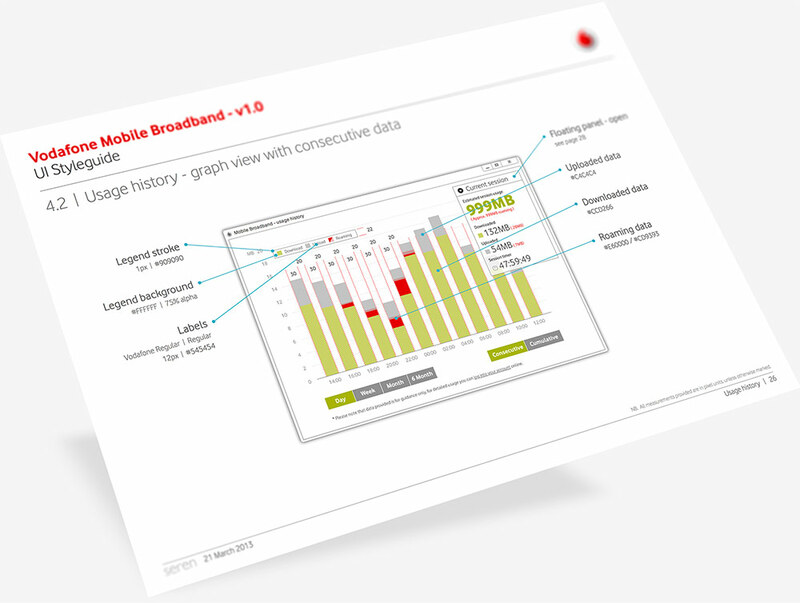 Various previous executions of broadband management software already existed, and Seren Partners had been engaged by Vodafone to conduct a wide-ranging benchmarking analysis and user experience review, and a proposition for a new product had been agreed. 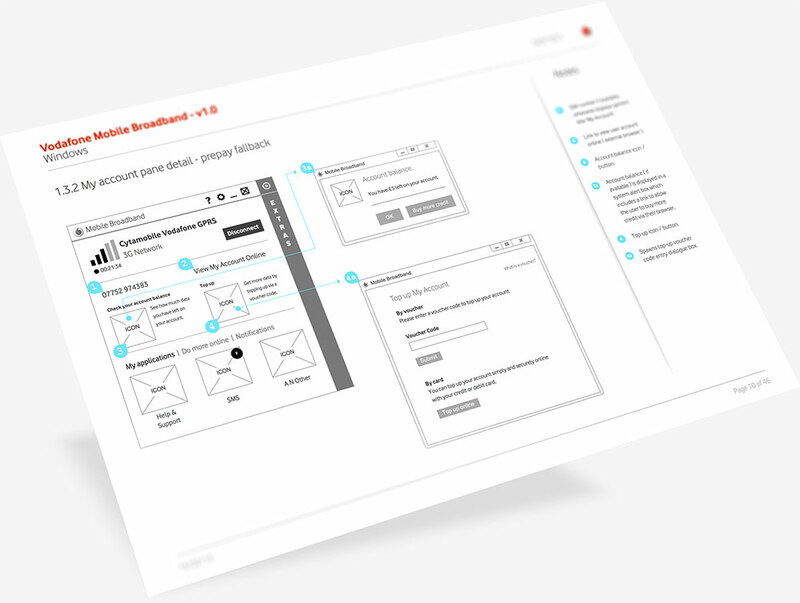 I was engaged by Seren as principle UI designer to work on the interface for the new product, and provide detailed architecture, wireframe and styleguide documentation. 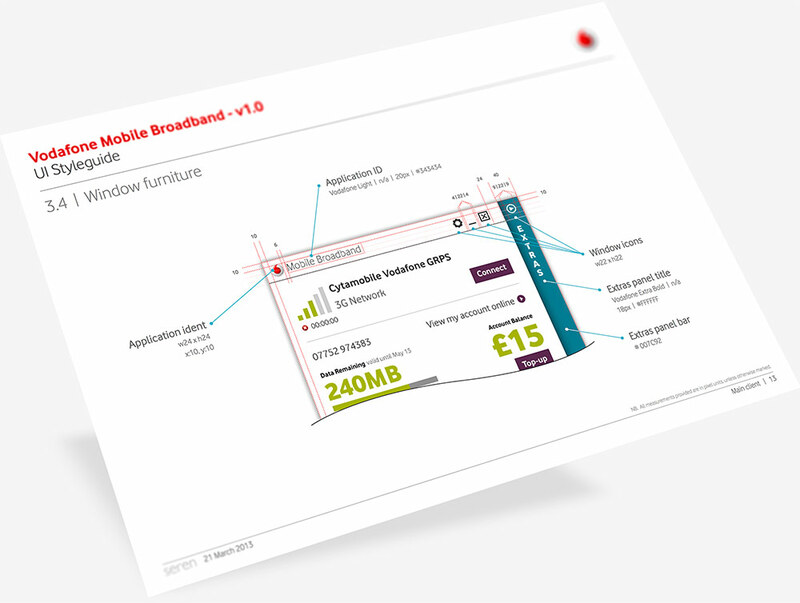 Working with the team at Seren and Vodafone, my first job was to review functionality across the existing apps that were being superseded and define which elements and functionality would be folded into the new app alongside new features. 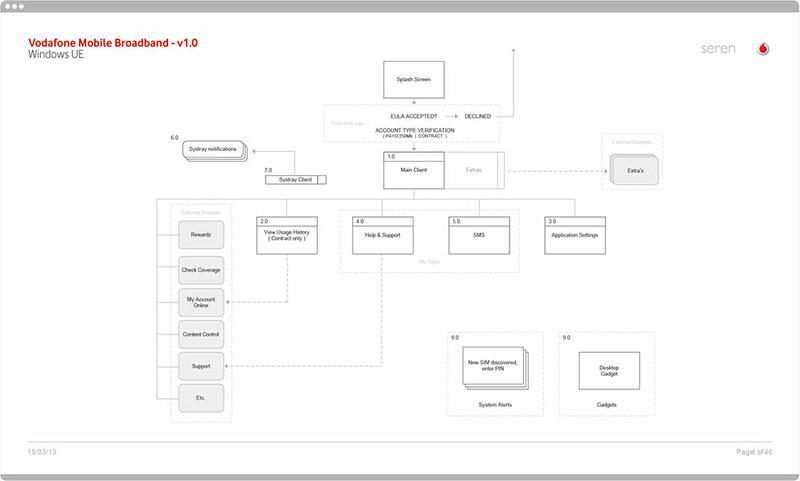 From this I was able to define application architecture maps. 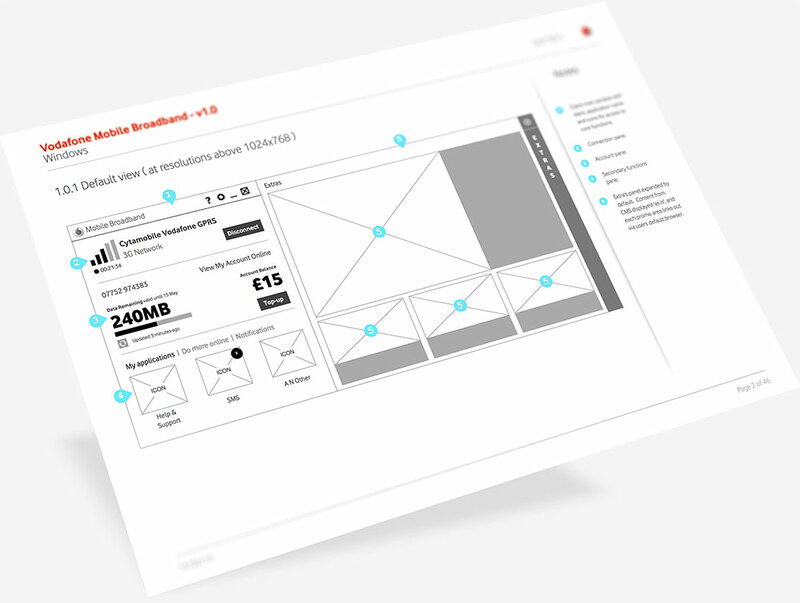 Once the solution had been agreed, I focused on designing the user interface through detailed wireframes created in Axure - and where necessary for the purposes of exploring interaction design - prototypes. 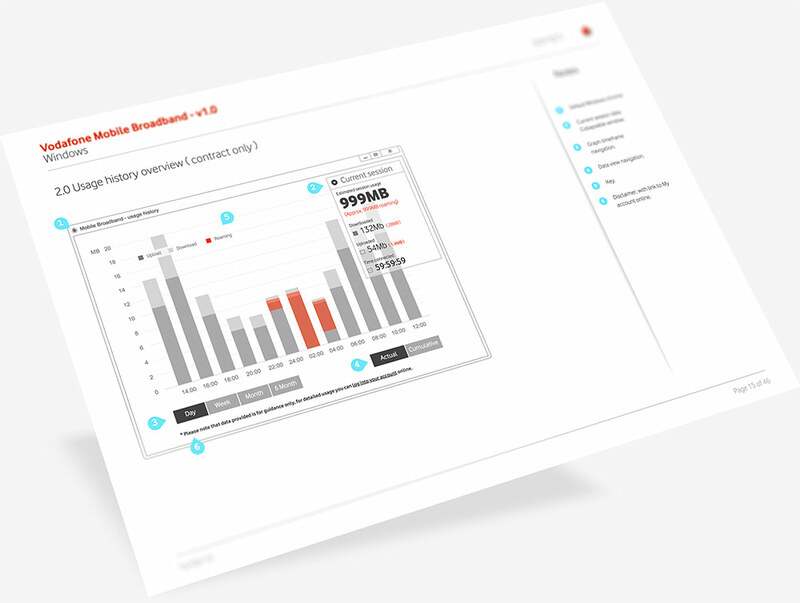 My key objective at this stage was to ensure the experience of the interface remained simple and clear despite some advanced functionality ‘under the hood’, surfacing only the information that was necessary to enable the user to make choices and complete core tasks. 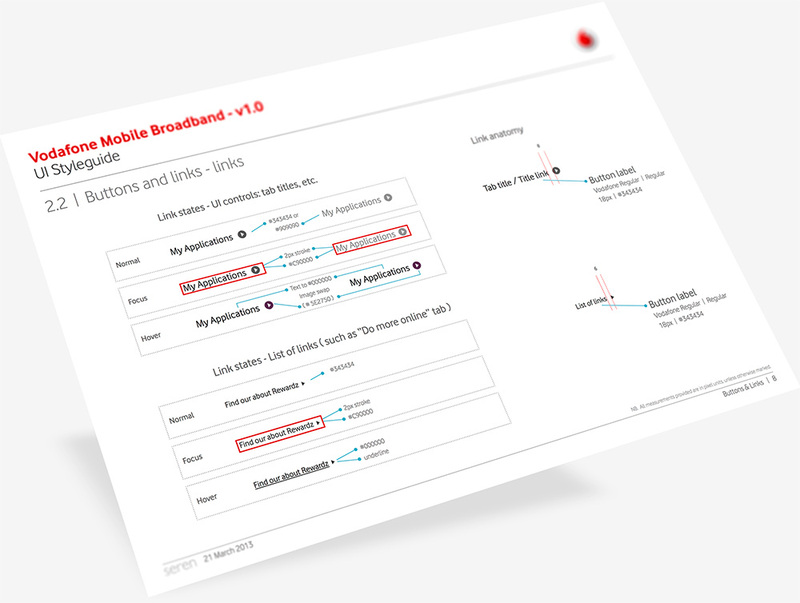 I worked with business and technical stakeholders within Vodafone to iterate the wires and refine them to a state of fidelity high enough to be documented and handed over to an external team of developers. 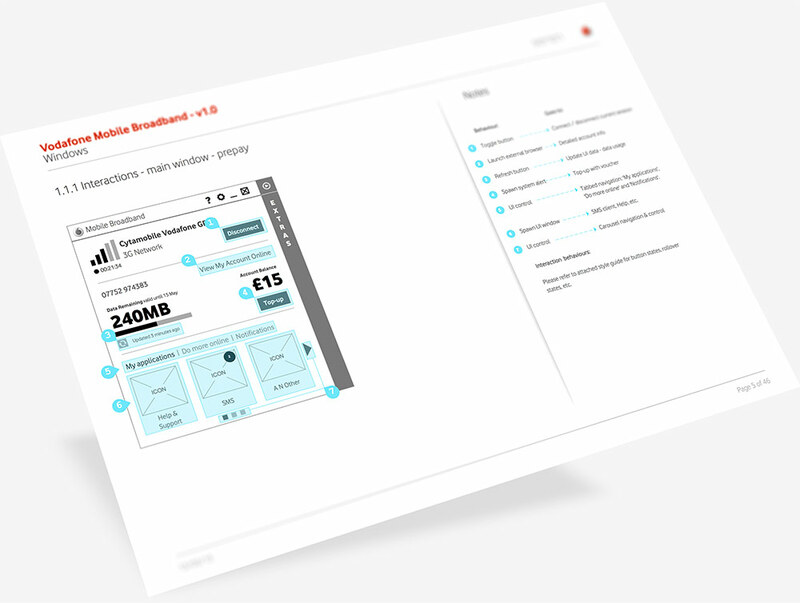 With the visual design signed-off, I created a highly detailed reference styleguide, and provided a tool kit of UI elements to be handed over to developers.